These earrings are a great way to learn how to do this type of fringe and have something to wear for your efforts. 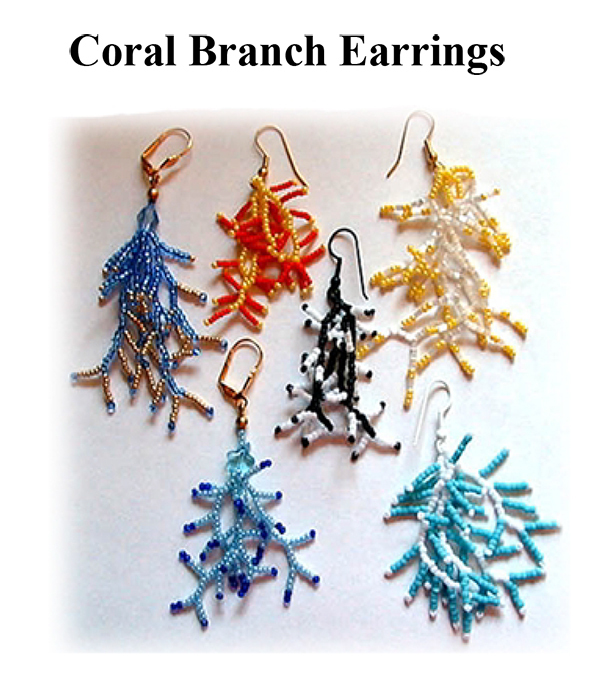 Need earrings to go with an outfit in a real hurry? Then these are just perfect. The instructions have detailed written, drawn & photo illustrations along with examples of 6 color variations.